Xantus's Murrelet: Medium-sized Murrelet with black upperparts and white cheeks, throat, underparts, and underwing coverts. Bill is dark and thin. Eyes are brown with broken white eye-rings. Legs and feet are black. Feeds on small crustaceans and fish. Swift direct low flight with rapid wing beats. 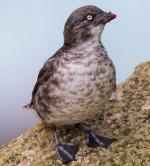 Xantus's Murrelet: An ocean-dwelling species, breeds on offshore islands of Baja California and southern California; occasionally wanders north to Vancouver Island. 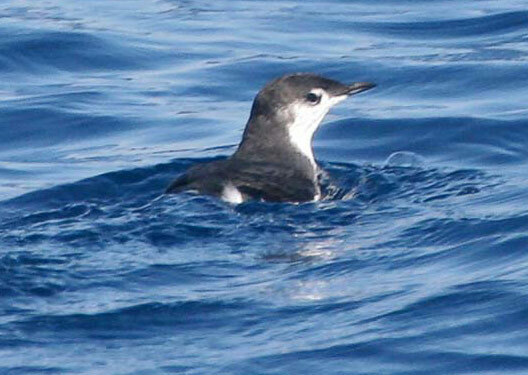 The Xantus's Murrelet feeds far out at sea, often in association with large predatory fish like tuna, on larval fish like anchovies and sardines. It is a wing-propelled diver, chasing down prey under the water with powerful wing beats. On Santa Barbara Island, deer mice destroyed an average of 42% of eggs laid every year and were sometimes observed killing untended chicks. The major threat to the survival of this species is depredation of eggs and young by introduced mammals on its nesting islands. Feral cats, which may also kill incubating adults, have been responsible for eradicating murrelets from a number of islands. The Xantus's Murrelet has a very small range off the coast of California in the United States and extending only so far as the Baja peninsula in Mexico. 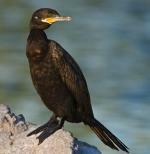 Though this bird can be found in Canada, Mexico and the United States the California colonies are the only self-sustaining. 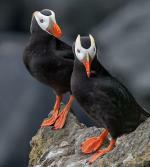 The global population of this bird is estimated to be only a few thousand breeding pairs. This equates to roughly 39,700 total individuals. 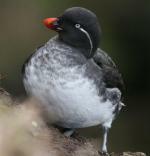 This species is a marine bird and can be found in coastal waters and along sea cliffs. Currently, it is believed that the population trends for this bird will continue to face severe challenges and due to this, population trends for the name have a present evaluation level of Vulnerable.